Tel Aviv is possessed of a world class dance scene. 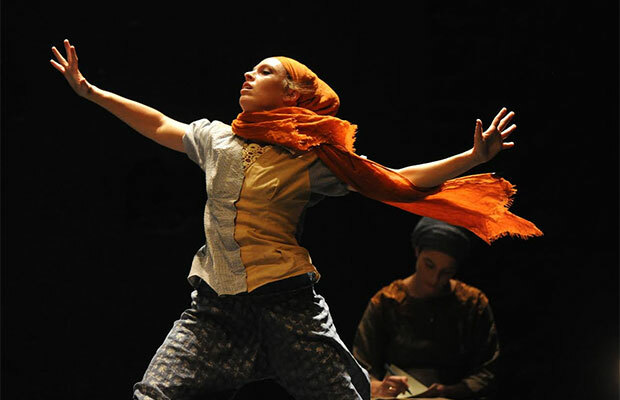 Standing out from all the exciting and creative dance-related activity in Tel-Aviv is the Nehara Dance Group which is a one of a kind dance company that formed in Israel for professional dancers who are also religious women. The group maintains the highest standards of artistry and professionalism, performing for mixed audiences, and participating in the arts community in Israel and abroad, all while maintaining a sensitivity to modesty, Shabbat observance, intention of the work, mother-friendly environments, etc. It is the first of its kind and is making waves in both the Israeli artistic and religious communities – something that makes it quite unique indeed. Usually these two worlds do not go together, and a Jewishly observant dancer needs to make a choice: either have a religious life or keep your passion to dance and perform professionally – but not both. Nehara Dance Group provides a home for the dancers where they can succeed in living both ways of life, creating a profound personal impact for is dancers. Not only is the group revolutionary for the calibre and quality of its dancers, it also encourages social activism through the mixed population it attracts into its audience. Usually one would never find a secular Israeli from Tel Aviv willingly sitting next to a religious Zionist, yet this happens at every Nehara show – the performances bringing different factions of Israeli society together in order to enjoy an art form that transcends politics, borders and “truths” while speaking to one’s deeper soul. Nehara Dance Group has brought their unique voice all across Israel and most recently in Spain. Now, more than ever, fostering ties between secular and religious Jews is a laudable and important accomplishment. Also, presenting the world with a pluralistic and creative face of Israel will do wonders for Israel’s image. Nehara has started an Indiegogo campaign to help sustain this dream! Dancers and Dance companies do not live on fumes. Revenues from ticket sales only go so far revenue wise. I’ve seen Nehara perform on several occasions, both in Jerusalem and in Tel Aviv and each performance left me moved, touched and inspired. I know this is the season where we are all inundated by end of the year funding requests. Here is your opportunity to help sustain soulful whimsy in Israel. Read up about Nehara, visit their Web site, and, if you feel so inclined, help them in their fundraising campaign and share this link far and wide. But be quick! There are only a few days left!